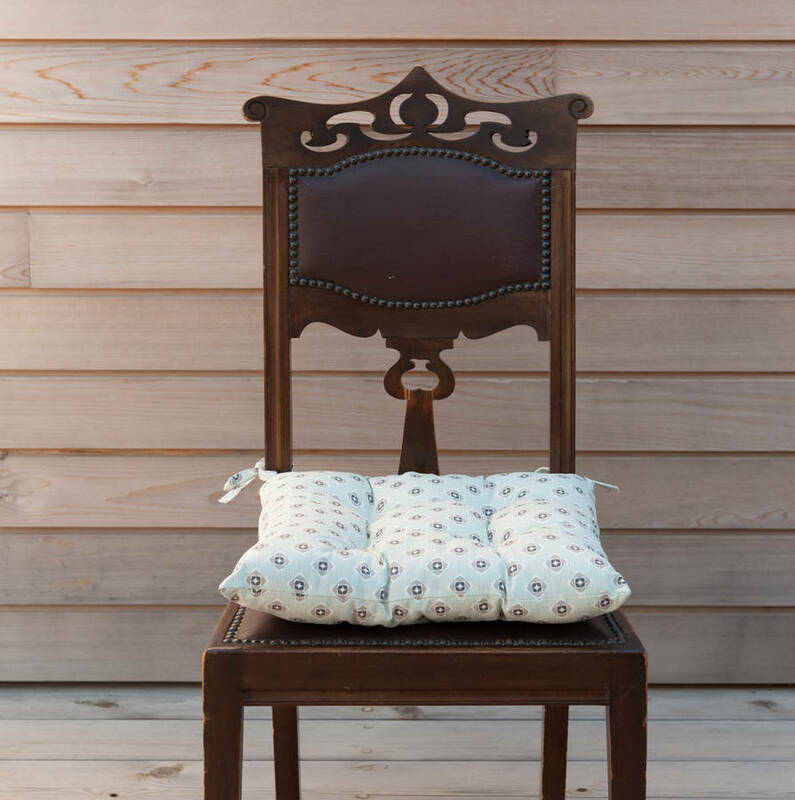 A super comfy, perfectly padded chair pad in a pretty organic cotton design. 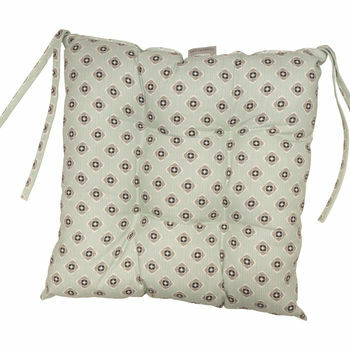 Our super comfy seat pads are now available in our signature Organic Cotton prints and colourways. These pads are easy to care for and can be machine washed at 40 degrees. 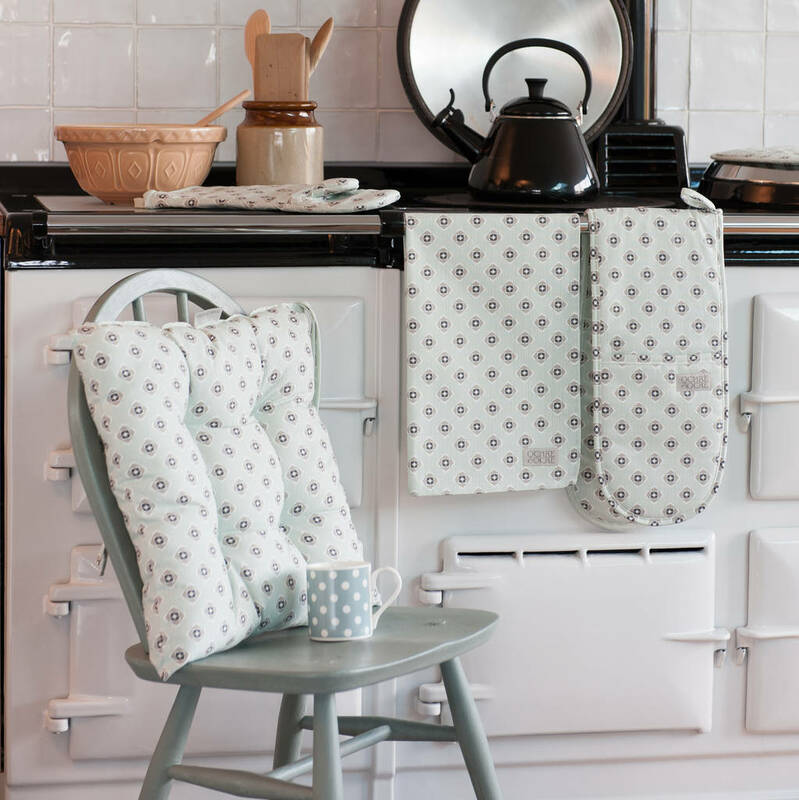 These comfortable seat pads will fit most square seat kitchen and garden chairs. The seat pads fasten easily to your chair using the long fabric ties. With ample cushioning for maximum comfort. This organic chair pad has the same pattern on each side. 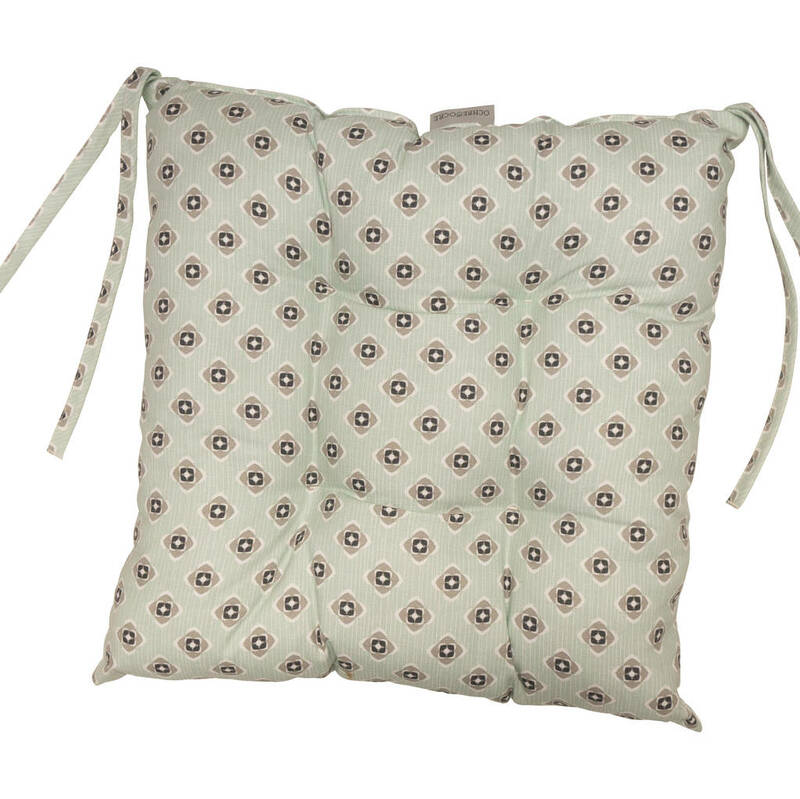 Our organic seat pad is made with our standard 100% Organic cotton in a hardwearing half panama weave for the outers and with a bouncy polyester filling.